Professor Raoul Birnbaum will give a research talk for the Department of Asian Studies at the University of British Columbia, Vancouver. 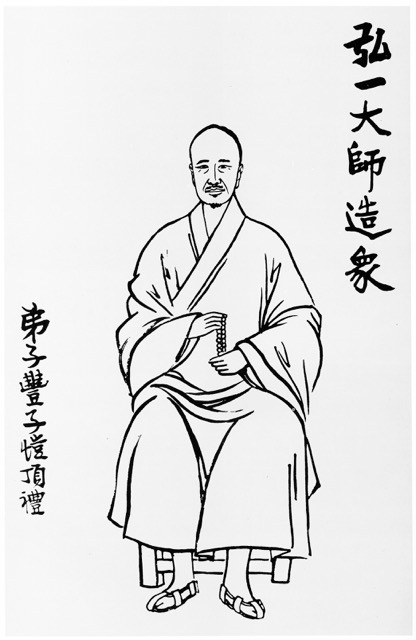 The elusive monk Hongi Dashi 弘一大師, one of the pre-eminent Buddhists of twentieth-century China, was a complex man who lived in a complex time. This talk looks to Hongyi’s great interest in studying, editing, and composing biographical and autobiographical texts, as well as his careful visual self-presentations through calligraphic works, self-portraits, and posed photographs. What was he doing and why? What relation may all of this have to the later construction of texts and images that attempt to say something about him?